This past month I had the unique opportunity to facilitate Bent Marble’s creative documentary workshops at Kampala Film School, an affiliate of Kampala University in Kampala, Uganda. This marked the first time that Bent Marble, an organization that strives to simplify and demystify the process of filmmaking, has offered workshops at an established film school. And what a unique experience it was. As soon as I arrived at Entebbe airport, I was graciously met by KFS co-directors, Arlen Dilsizian and Derek Debru, who had already found me an apartment for my time teaching in Kampala, and who would continue to facilitate nearly every aspect of my professional and social life during my stay in Uganda. I truly cannot thank them enough! Arlen and Derek also had hand-selected a group of 12 participants for the workshops. These individuals were not actually students from the film school, but rather a highly diverse group of creatives from the community, with backgrounds ranging from sculpture and painting, to musical performance and producing, to photography. While highly artistic, most had no formal background in filmmaking. Workshop participants practicing handheld camera work on the campus of Kampala Univeristy. The students, most of whom were adults in their twenties and thirties, exuded a play-hard-work-hard mentality (not to be confused with a work-hard-play-hard approach;) And many became good friends over the course of my stay, as they often included me in their social outings, both in and out of Kampala. 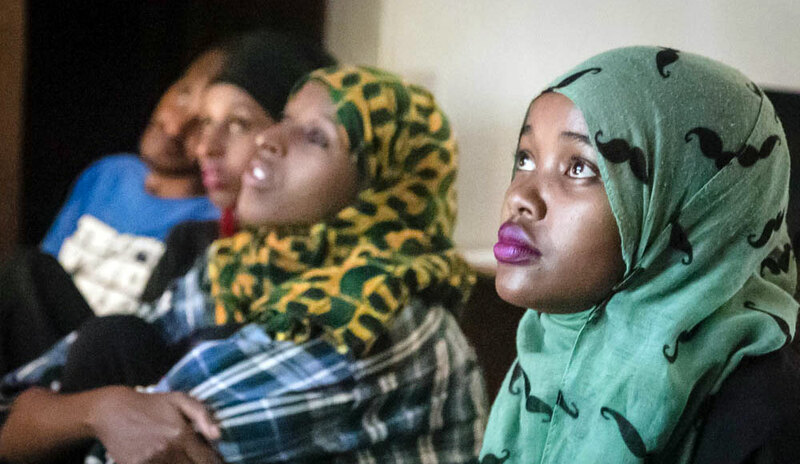 The batch of films this talented group produced were truly extraordinary, as they chose innovative subjects, ranging from a Muslim female fashionista, to the importance of farming to our future, to a love letter to Lake Victoria! All their films were told in strong personal voices, a trait that Bent Marble highly promotes in its curriculum, as well as conveyed a clear sense of caring towards community, country, continent, and world. Participants learning editing from workshop co-facilitator, Joshua Waiswa. 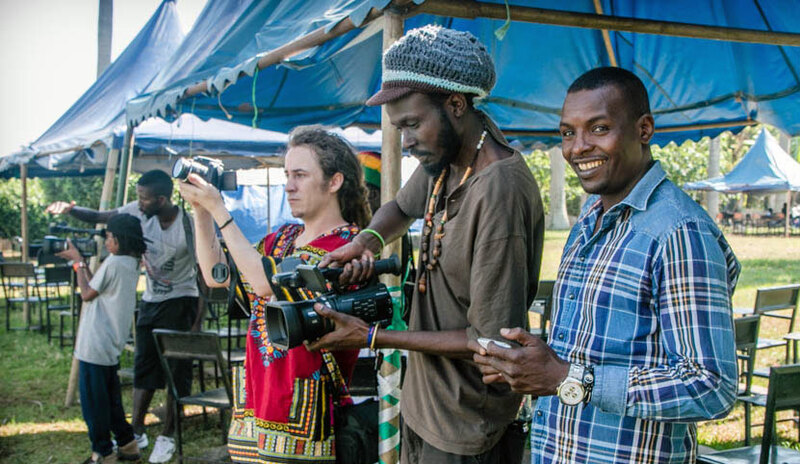 While this marked the first film for most participants, one student, Wilberforce Muzahura, had previously taken a filmmaking short course, recently offered at Kampala Film School. 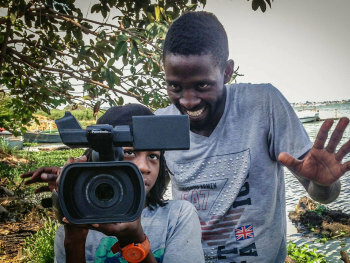 In it he had made the beautiful documentary, Trash for Cash, a short about a street kid in Kampala who supports himself by collecting and selling recyclable materials found in junkyards. In Bent Marble’s workshops series, Wilberforce, himself a former street kid, chose another equally compelling documentary subject, Annet, a 10-year-old girl who was born with no arms, yet is remarkably able to do just about everything that children her age typically do! This second film he appropriately entitled, Ability. Impressively, due to the excellence of Wilberforce’s work on this and his first film, he was recently awarded a full scholarship to attend Kampala Film School’s 3-year degree program in film production beginning this September! As part of his success story, I could not be prouder. And I will eagerly be following his developing career as a filmmaker. In closing I would also like to thank local freelance video editor and Kampala Film School alumnus, Joshua Waiswa, for graciously agreeing to co-faciliate our editing workshop. What he taught the students about working with interview materials and B-roll, as well as organizing and managing projects, came in clutch, particularly in the last 24 hours before projects were due, as many participants worked round the clock to finish their pieces! And while discipline and time-management may be hallmark traits of most successful filmmakers, there is no substitute for what these young women and men had in incredible abundance… ability.